Designed by nationally acclaimed architect William Poole, "The Natchez" model built by C & D Homes is in one of Greenville's most desired communities and school districts. 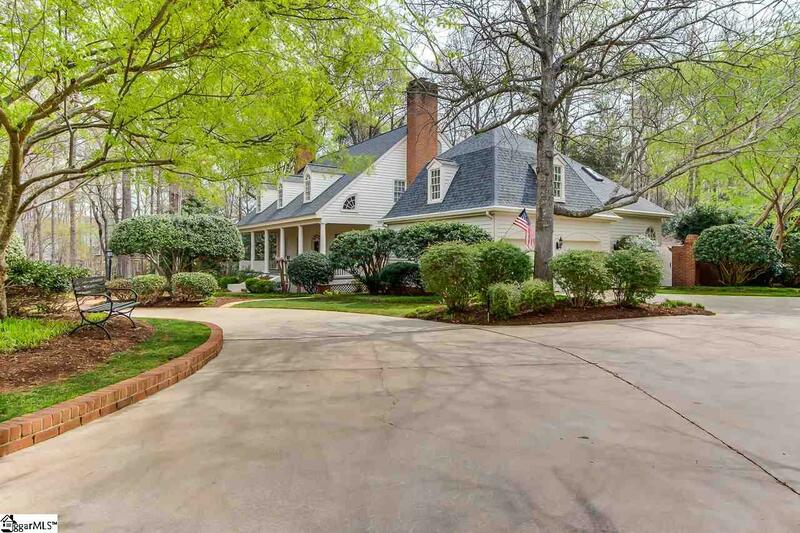 It graciously sits on 1.7 acres overlooking a creek on the back of the property. 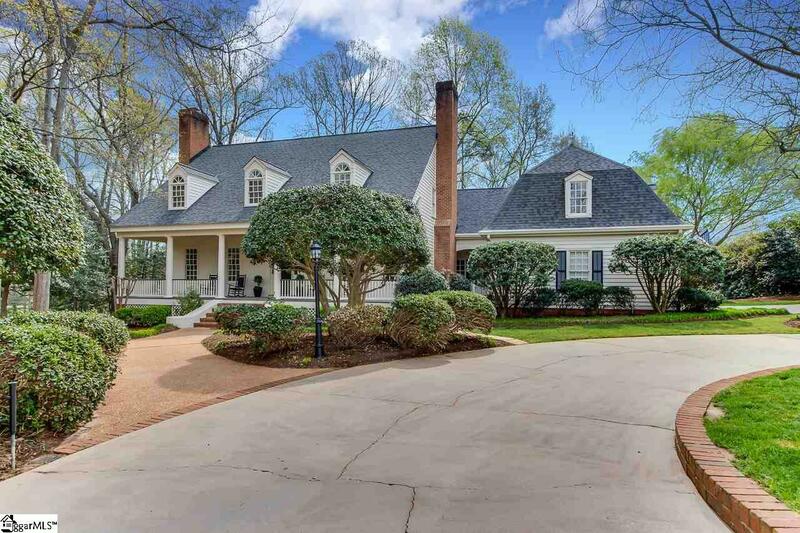 Enjoy sitting on the back porch or the long Southern Plantation Colonial style front porch recessed under a gable roof admiring the beautiful setting. The delicacy of the fanlight doorway, the tapered columns, the graceful dormers and the Federal style beckon one inside to an open floor plan which is beautiful! 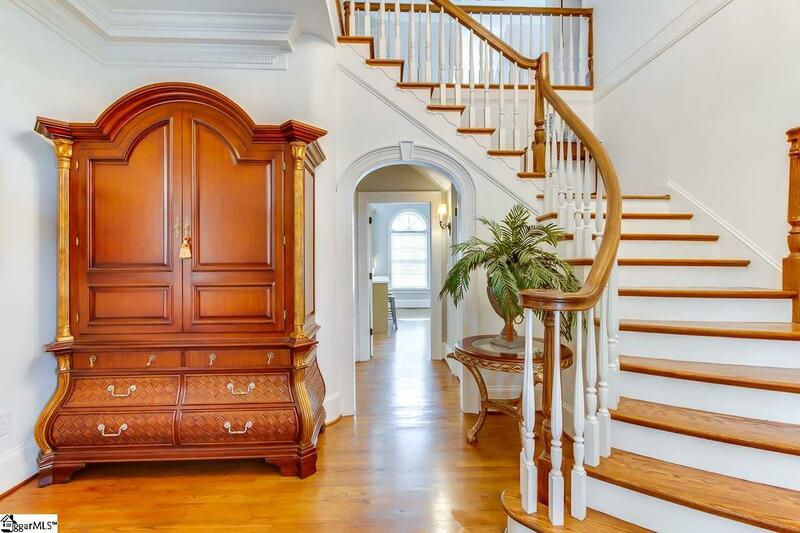 This inviting 4-bedroom home has the master bedroom on the main level. The additional bedrooms and studio are on the second floor as well as a large bonus room over the garage which you will love! There are tons of storage space throughout the home! The siding is Cedar and was just freshly painted. Once you enter the front door and see the beautiful stairway and two-story foyer you will see the beautiful large living room which opens to the dining room to the left and a very comfortable library/office to the right with built-in bookcases.....You will love the open kitchen, breakfast and keeping room which measures plus or minus 37 x 16..All the rooms on the first floor have 10-foot ceilings and hardwood flooring. The kitchen and keeping room are 2 stories high plus the living room, library and dining room all have 7-piece moldings. Then in the back of the home is the large kitchen/breakfast area which opens into the Keeping room. This area has two story ceiling heights, an entire wall of windows with a French door which open to the deck. Off that area is the master bedroom with an amazing bathroom which leads to a private garden area - so lovely! The master bath has an oversized walk-in closet with built-in storage, marble throughout, large jacuzzi tub, separate shower, double sinks and again remember it opens to the private walled Garden/Courtyard area. The Laundry room has lots of built-in cabinetry and laundry sink. Don't miss seeing this home - it is beautiful - the setting is amazing with the beautifully landscaped yard and circular driveway contribute to the elegant feeling - (Oh, just a note, one room upstairs which has carpeted walls is where their son use to practice his musical talents - the sound was very well contained to that room) it might be a great room for you to develop your talents too.....Another note - the roof was replaced in May of 2012 due to hail damage. and both hvac units were replaced in 2010. Not only do you have the back deck and the front porch, plus the private walled garden off the master bath, you also have another porch off the covered side entrance. You will love the circular drive with landscaped island and extra parking pad too! Wonderful corner, wooded lot with creek. 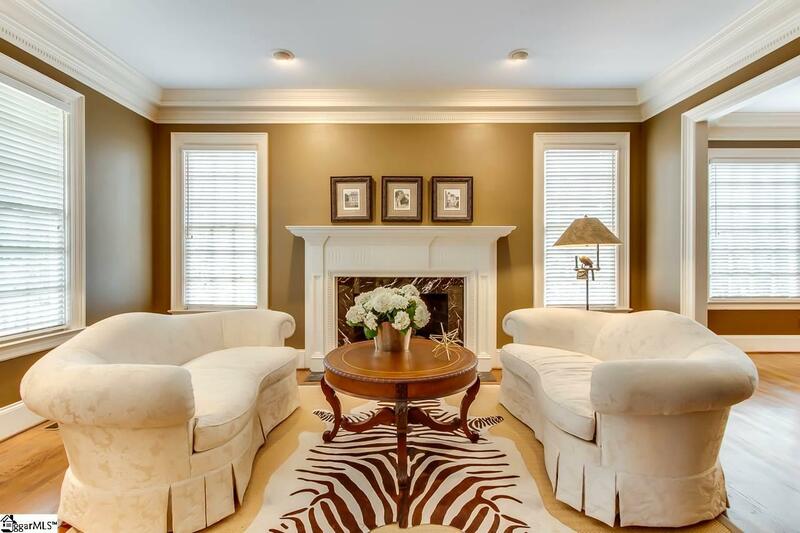 Listing provided courtesy of Carol Pyfrom of Blackstream International Re.